Trained as a biochemist and molecular biologist, Dr. Shi has a broad background and specific expertise in protein engineering, gene expression regulation, and signal transduction in disease settings. 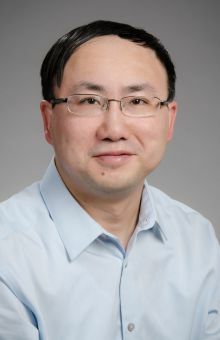 At the University of Washington School of Medicine, Dr. Shi has expanded his research to include proteomics-based discovery and targeted validation of candidate proteins in in vitro models. He has also led or critically involved in projects to apply the proteomic discovered and other important proteins as biomarkers for neurodegenerative disorders such as Parkinson disease and Alzheimer disease.